As the CEO of WPT Enterprises (WPTE), Steven Lipscomb started The World Poker Tour in 2002 with the focus of organizing international poker tournaments and broadcasting them on television. The year-round WPT television show contributed to the poker boom in the United States, and also exposed the games to other parts of the world through syndication. This made Mike Sexton and Vince Van Patten, commentators of the show, household names for poker players. Currently, the commentators are Tony Dunst and Van Patten. Both the show and the tournaments were normally sponsored by online poker rooms. In 2009, PartyGaming PLC, owners of Party Poker, acquired the brand and pushed their online poker site through the series. The focus, however, was to expose the game and market Party Poker in the European region. In 2014, The World Poker Tour partnered with Ourgame, a Chinese company providing card and board games, allowing the latter to use its products and services in Asia. It even allowed Ourgame to use the WPT Logo and trademark in certain countries in Asia as well as use the name to operate Pokermonster.com. 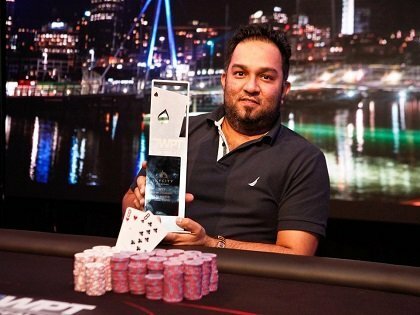 In 2015, Ourgame acquired The World Poker Tour and continued to push the brand in the Asian region, holding seasonal tournaments in the Asia-Pacific region. So far, the WPT brand has held yearly tournaments in Asia, particularly in the Philippines and Sanya, China, since the acquisition of Ourgame International Holdings. 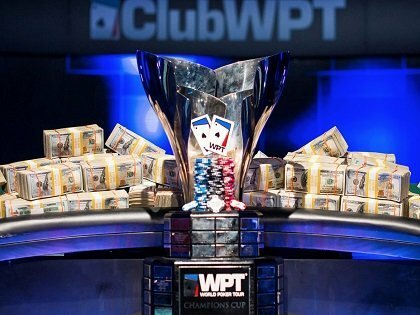 Former champions of the WPT include Gus Hansen, Barry Greenstein, Daniel Negreanu, Antonio Esfandiari, to name a few.